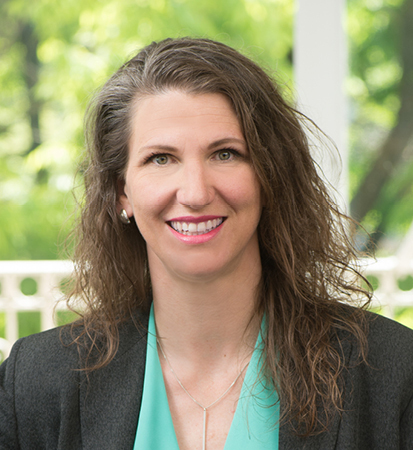 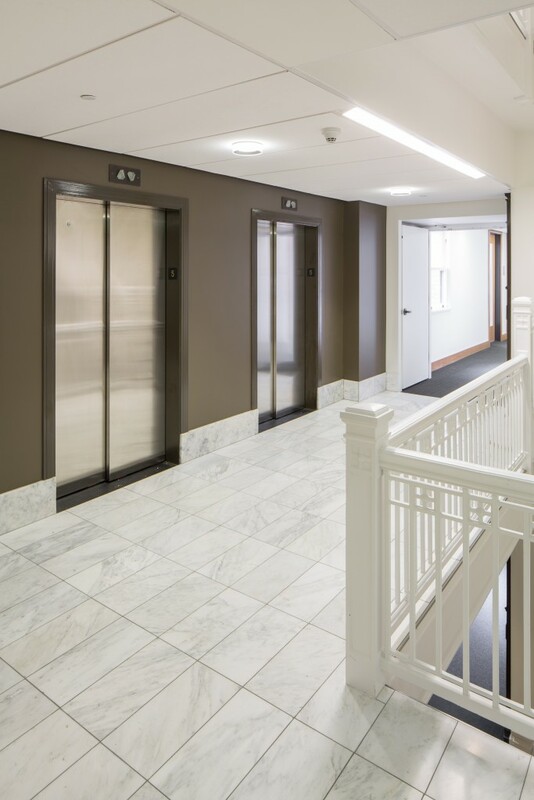 Hennebery Eddy’s interior renovation of the historic Spalding Building reinvigorated the building’s banking legacy through instituting durable, classic materials reminiscent of the former bank’s original details. 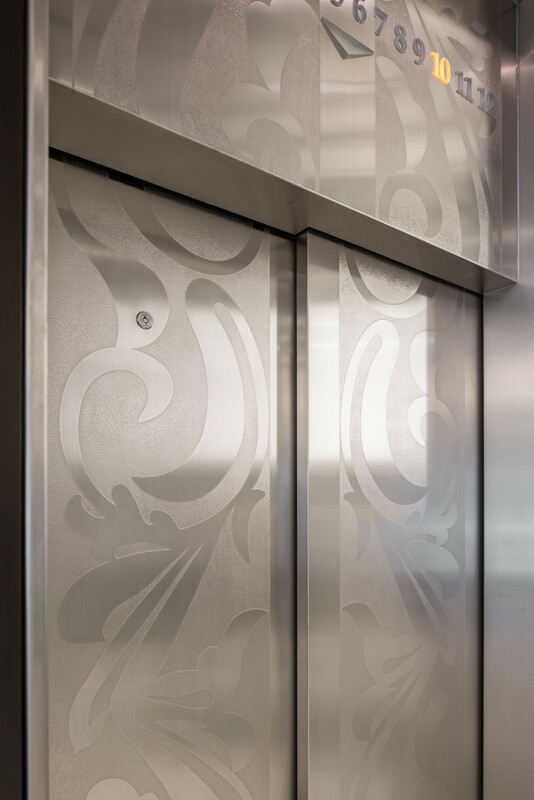 Metal varieties from the building’s vaults inspired the use of stainless steel, bronze, and brass for wall panels, ceilings, entry doors, and elevator; the etched pattern on the vault doors was enlarged and applied to the stainless steel elevator doors and transoms. 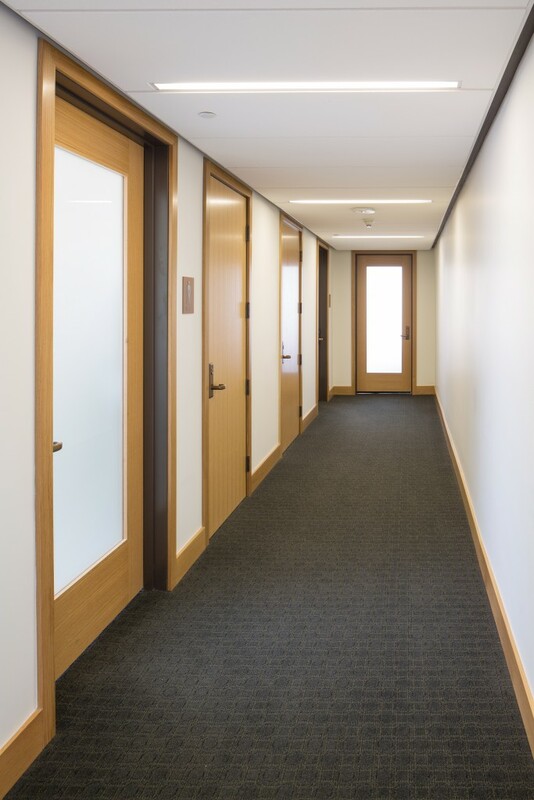 The building entry, formerly a dark vestibule with thickly framed storefront, was opened to full width with glass doors and thin brass frames. 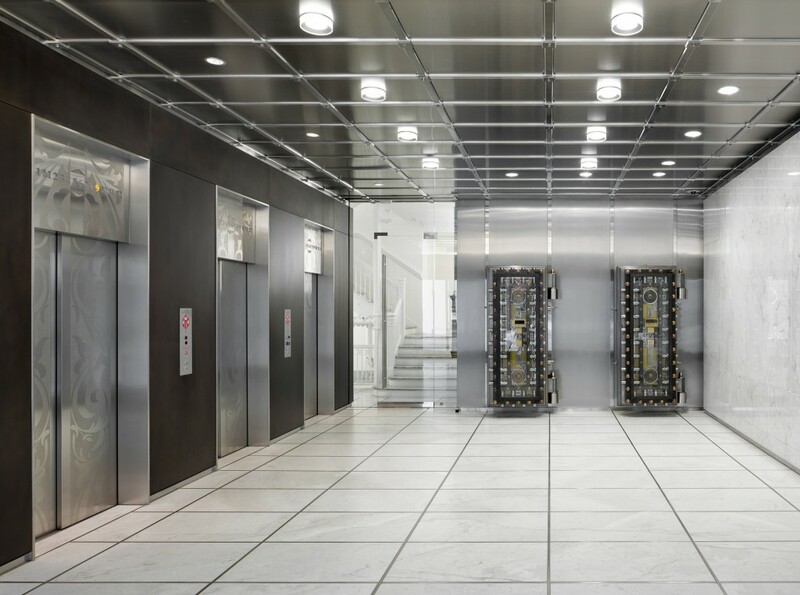 We carried the stainless steel material palette used in the lobby through the upper floor elevator lobbies and other common spaces. 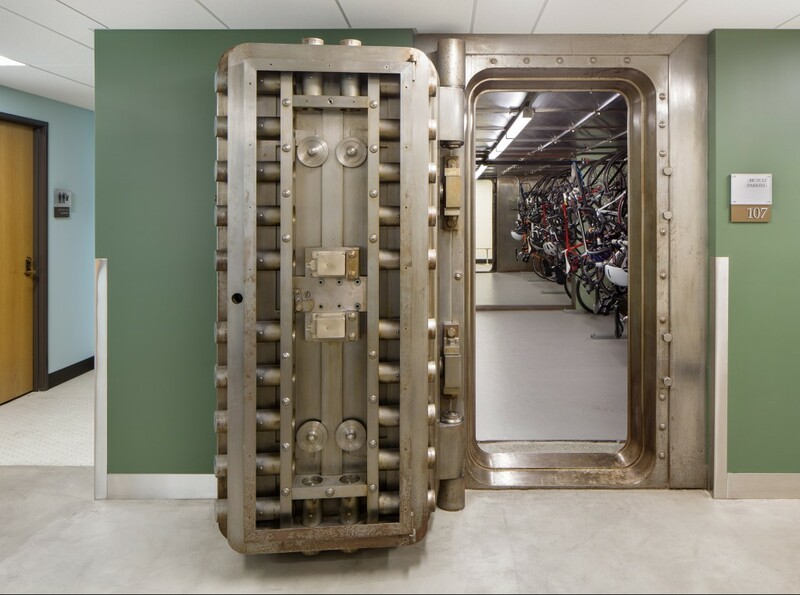 Restrooms and corridors were renovated, and existing bank vaults were reused as bicycle parking for a generous bike commuter and fitness facility featuring lockers, private shower rooms, and exercise equipment.